There are multiple reasons why a tummy tuck procedure may be required. Pregnancy, childbearing, weight gain/loss or the aging process in general. The most common reason our patients in Raleigh, Durham and surrounding areas seek Dr. Morea’s services for tummy tuck is to reverse the effects of pregnancy and childbearing on the abdomen. The abdominal wall can become stretched as a result of weight gain due to pregnancy. This weakened abdominal wall provides less support and internal organs may bulge giving the abdomen a larger appearance. This problem is particularly common in women who have had multiple pregnancies. Excess skin and stretch marks can also be of concern following pregnancy. Other tummy tuck patients may have excess skin on the abdomen caused by significant weight gain and then weight loss. Patients who have had bariatric surgery such as gastric sleeve or gastric band procedures may loose 100 pounds or more. It is not uncommon for these patients to feel frustrated with the appearance of the abdomen following such a large weight loss. Stretching of the abdominal wall and skin following this type of weight loss cannot be reversed with exercise or sit-ups. Tummy tuck procedures at Morea Plastic Surgery take approximately four hours and are performed in our AAAASF certified operating suite. Our talented staff of experienced Registered Nurses will care for you in our recovery room until you are ready for discharge. Patients go home the same day of surgery. The recovery following tummy tuck or abdominoplasty will vary from patient to patient, however, most patients can return to work both inside and outside of the home in approximately 10 days. In our Raleigh, N.C. plastic surgery practice, Dr. Morea sees patients of various heights, weights and age who are excellent candidates for a tummy tuck procedure. 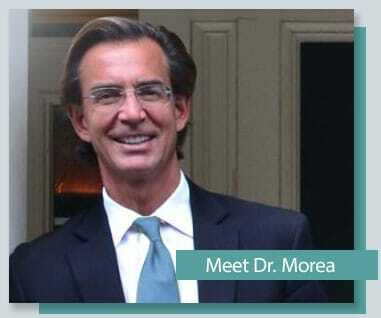 During your first consultation at the Morea Plastic Surgery Center, you will meet personally with Dr. Morea to discuss your individual plastic surgery goals. He will advise you regarding which abdominal cosmetic surgery procedure is best for you. You will have the opportunity to view our library containing thousands of before and after tummy tuck photos of actual patients from our practice. The cost of a full tummy tuck or abdominoplasty will vary depending upon a patient’s height, weight and complicating medical conditions and can range between $8000 and $12,000.